Radiology is used to produce x-rays (radiographs) to help us look inside our patients. This helps to determine what changes may be present causing disease or discomfort. It is used to look at the size and shape of the internal organs and to evaluate the skeletal system. 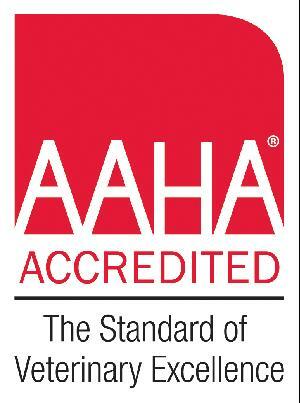 It is often used with ultrasound for a more complete evaluation of our patients. 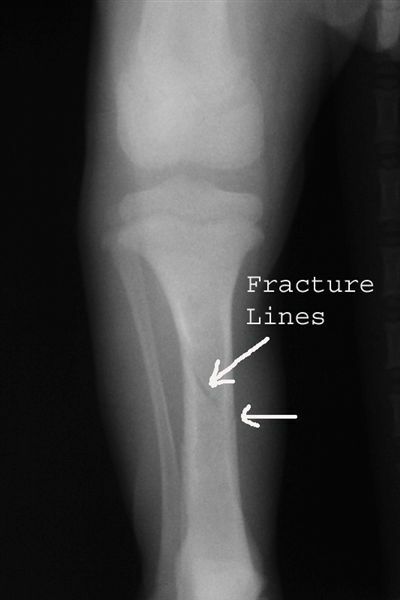 The following radiographs show some of the issues we have identified in our patients through the use of radiology. 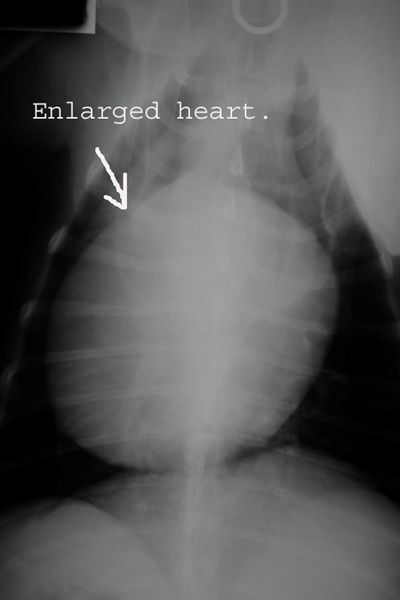 This first image is of the chest of a dog. The heart is enlarged and more rounded than normal. Ultrasound was used to confirm the diagnosis of pericardial effusion, an accumulation of fluid in the sac around the heart. 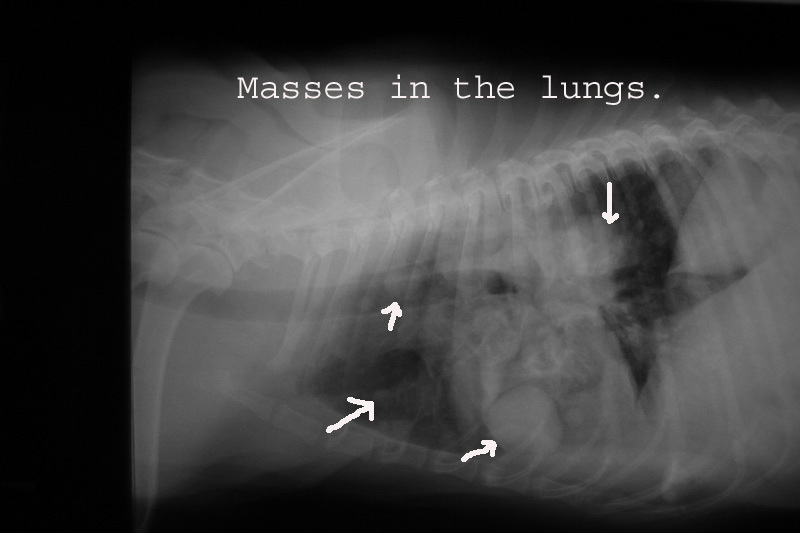 The second image is also of the chest of a dog, but in this case, multiple nodules or masses were found. 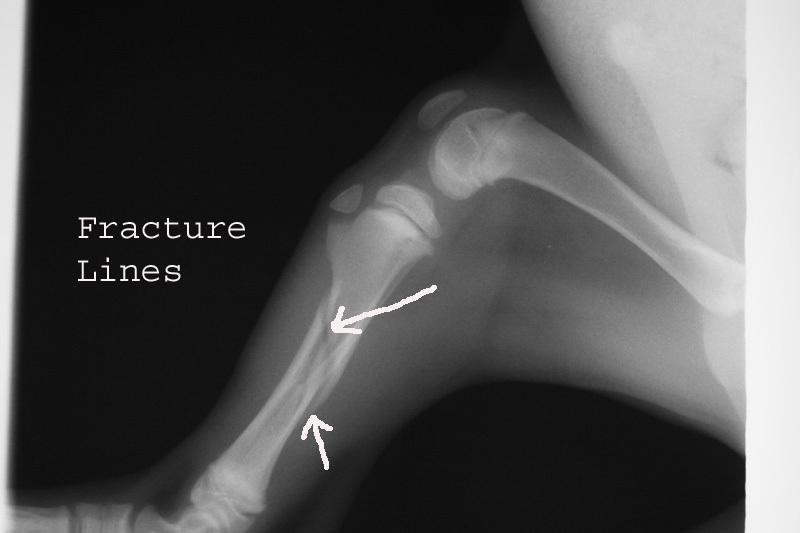 These two radiographs show a fracture in the tibia of a young dog (you can tell it is young because the growth plates are still open, giving the appearance of more fractures). The important concept to visualize on these radiographs is that the fracture shows up much better in the first view than in the second. This illustrates how important it is to get two views from different aspects when taking radiographs. This final radiograph shows a pregnant cat. 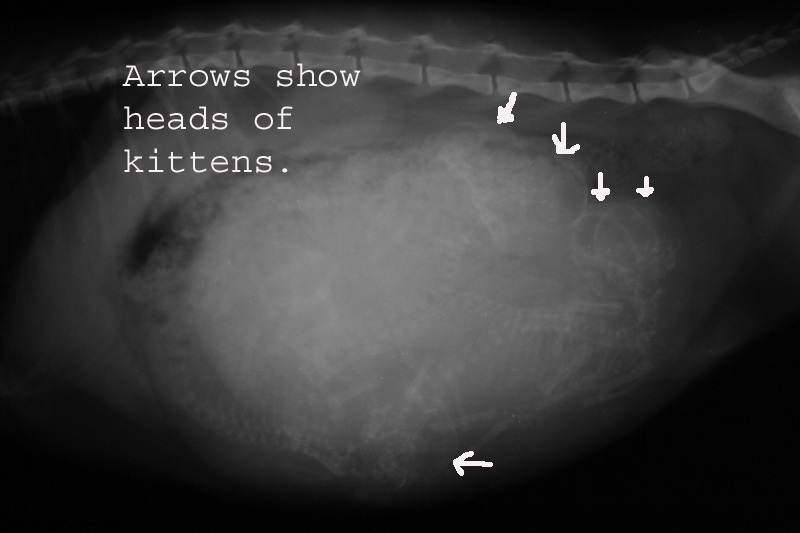 If you look at the arrows, you can see the heads of five kittens. It is easiest to look at heads when trying to get a puppy or kitten count as the spines can cross and confuse the count.